Enriched with Intra-CylaneTM, used for the first time in a spray, and in Salicylic Acids, this root spray bodyfies the roots. Flat hair looks lifted from the roots, for a new and lasting volume. 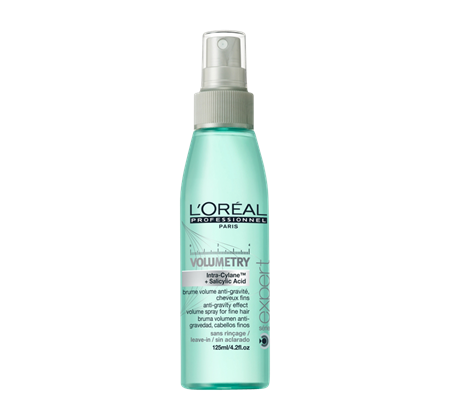 Click here to find out more about VOLUMETRY Anti Gravity Root Spray on the Official L’Oreal Professionnel Website. As the last step of the Volumceutic treatment, this gel mask deeply hydrates the hair fiber, and gives it body and support for a 72hr maximized volume. Finally – volume and nourishment are not incompatible anymore and at last fine, sensitized hair have their star treatment. 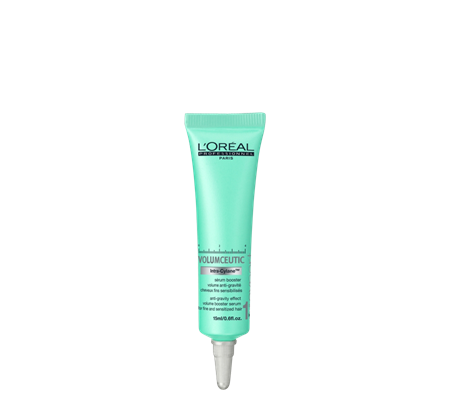 Click here to find out more about VOLUMETRY Gel masque on the Official L’Oreal Professionnel Website. As the first step of the Volumceutic treatment, this volume boosting serum is enriched with Intra-Cylane™. That’s why this serum has the power to reconstruct your hair and to thicken fine hair from the inside. Use before the Volumceutic Gel-Masque for a 72hr push-up effect. 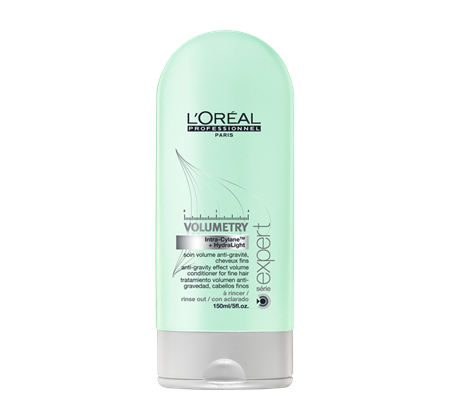 Click here to find out more about VOLUMETRY Volume Booster on the Official L’Oreal Professionnel Website. This conditioner brings nourishment and volume back together. Thanks to Intra-CylaneTM, fine hair is bodyfied and left looking denser & volumized. Thanks to Hydralight, hair is also deeply nourished. Used with the Volumetry shampoo and spray, it gives the hair an extra boost of volume as well. 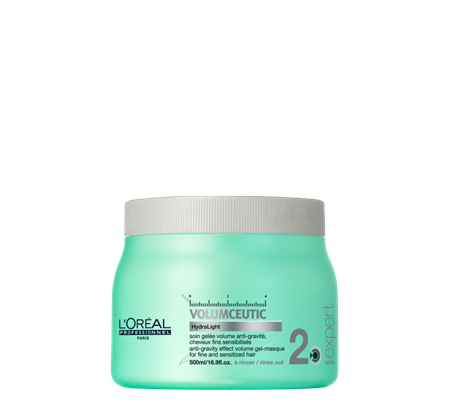 Click here to find out more about VOLUMETRY Conditioner on the Official L’Oreal Professionnel Website. 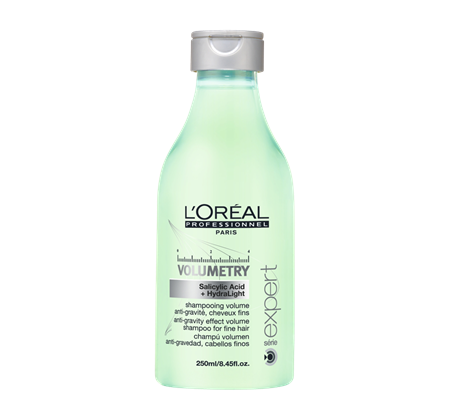 Click here to find out more about VOLUMETRY shampoo for fine hair on the Official L’Oreal Professionnel Website.